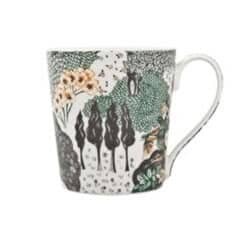 Adding an extra dimension to the Denby range the Monsoon Home tableware is made from fine china and features feminine and exclusive eclectic designs. 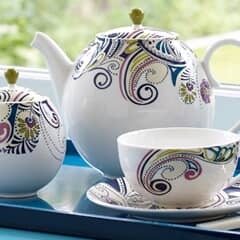 The Denby Monsoon collection blends together traditional colour and prints with the finest china and pottery. 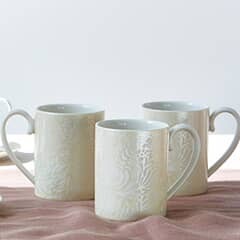 Known for its feminine, eclectic designs, the Denby Monsoon Collection will make a fine addition to your home and add a touch of class to dinner and tea time. The Monsoon Collection includes Daisy Green, Lucille Gold, Cosmic, Chrysanthemum and Veronica and Chantilly patterns and a separate range of kitchen products and glassware products. Everybody has their own taste, however the Daisy Green and Lucille Gold and Chantilly ranges will suit a traditional home perfectly, while the Cosmic, Chrysanthemum and Veronica ranges will suit a modern or eclectic home perfectly. What each range has in common is that they are all made to the highest quality, and all of them are beautiful. 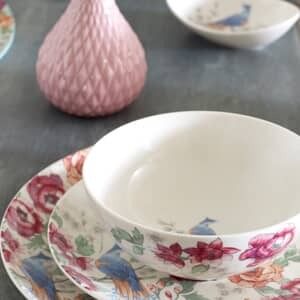 Choosing which one is right for your home will be tough, but whichever you choose you can be confident that you'll have a stunning tableware set. 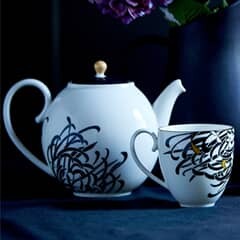 You can find all of the Denby Monsoon ranges at fantastic prices at eCookshop, often with a minimum of 10% off. 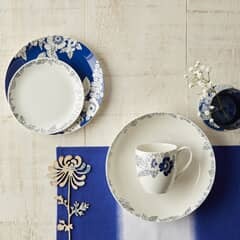 Has owning fine china ever been so affordable? 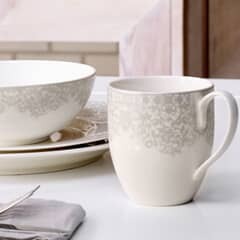 Browse our full range of Denby Monsoon products today and take your fine china to a whole new level.